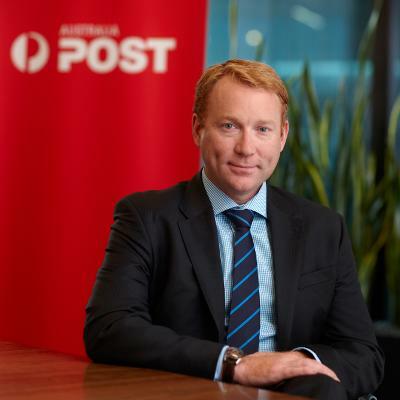 Australia Post’s Andrew Walduck, executive general manager of trusted e-commerce services, has added group chief digital officer (CDO) to his role, marking the first appointment of its kind. As group CDO, he will be responsible for growing new digital platform businesses, while also strengthening existing delivery and retail services that power e-commerce. "This to me feels like the next logical step for Australia Post," Walduck told CIO Australia, saying the move to create the CDO role follows in the footsteps of the appointment of the chief customer officer. “We hired a chief customer officer, which was done in recent times, and it was also very deliberate around ensuring that our organisation was evolving in terms of how we design its future and how we better invest customer design thinking into how we bring our new products and services to market." He said he will continue to be responsible for creating the next wave of products and services that drive commercial growth to enable Australia Post’s future, which draw from identity, payments, financial services, and key government services that are performed in-store and online. “A key part of the CDO role is evolving senior commercial businesses - and one that is built around identity and bringing our digital identity platform to market this year. Another one is around payments and evolving the role of payments in helping provide a better customer experience and a future of commerce. He also plans to continue the transformation of platforms and technology capability in the area of emerging services, as well as help manage the transition and change program of the brand with customers. He said the future of Australia Post is driven around creating commercial returns from an e-commerce delivery and e-commerce services business. Walduck first joined Australia Post in January 2012 to help drive the digitisation of the organisation, and transition it to become a ‘digital age’ company. He has also acted as CIO, overseeing technology and digital properties. He was responsible for driving the product innovation agenda and working with customers around how to create the products and services that will sustain the group’s future. His career spans more than 25 years in business transformation, digitisation, technology and marketing, and includes transformation roles in global corporations such Accenture, where he was partner in the communications and high-tech practice, prior roles at IBM, as well as marketing leadership roles in small growing businesses. “His expertise lies in using technology to provoke business change, building valued business relationships, and leading transformational programs to help organisations reinvent business models based on digital products and services. He also has a passion for developing talented teams that deliver great business results,” according to Australia Post.